In the following article you will find some basic information on Keeping Goldfish. Do you remember bringing home the goldfish from the fair, happy as can be that you finally have a pet to take care of. Then you put it in a container (you weren’t prepared for an additional family member), usually something out of the cupboard, filled it with water and expected to have Harry or Julia with you for the rest of your life? The next morning you get up and rush down to see your new little pet only to find him (or her) floating upside down in the container. What in the world could have happened? You took such good care of him, loved him and fed him. There was absolutely no reason why this should have happened! You finally had found the perfect pet! Mom didn’t object to him, you didn’t have to get up in the middle of the night and take him outside, he didn’t make any noise and he didn’t make a mess in the house. Now he is gone, but that little short experience has somehow gotten you “hooked” on keeping a goldfish. You instantly want another one, but you want to learn how to take better care of him this time. The first thing you need to learn is where not to keep your goldfish. Putting your goldfish in a bowl without filtration is an eventual death sentence. They have to live in the same environment where they go to the bathroom. 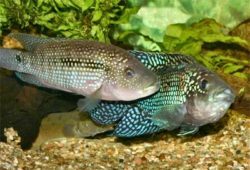 Fish waste produces ammonia which is deadly to your fish. Add to that the food that doesn’t get eaten which also produces ammonia, and your precious pet doesn’t have a chance. If you are serious about keeping goldfish and want the best for them, you need to invest in an aquarium where they have the room to swim and grow. A general rule of thumb is to have a capacity of 2 gallons of water per one inch of fish. That means a 10 gallon aquarium could hold 5 goldfish. Now, you also have to take into consideration that your goldfish will probably grow some and you don’t want that 10 gallon aquarium to be too small in a year. 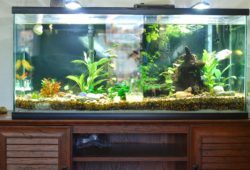 Again, if you are serious about this, and you are planning on keeping more than two goldfish, purchase at least a 20 gallon fishtank or ideally a 30 gallon would be best. Goldfish also require more oxygen than a tropical fish so a rectangular tank is recommended as it has more surface area for oxygen to get into the water. 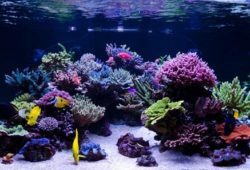 Now, you have set up a tank large enough to safely take care of your fish, you will need a good filtration system to remove the waste and toxins from the water. Goldfish will give off more waste materials than other fish and you will need to adjust for proper filtration accordingly. A mechanical hang-on filter will do just fine. If you want the extra biological filtration, you can add an undergravel filter. This filter will filter waste and uneaten food that has fallen among the gravel while also providing extra oxygenation. The majority of these filters are low to moderately priced so it won’t be a real expensive venture to provide proper filtration for your new pets. Now that you have the tank and filtration system set up, you can have some fun and put your creative ability to work with some decorations. Buy some pretty plants and some decorations for your pet to hide in and swim through. A real fun playground activity is a bubble wall which will give your fishtank a beautiful wall of bubbles and will give your fish extra exercise and pleasure by swimming through it. This will not only give your underwater world a touch of paradise but will also give your fish the extra oxygen they require. There are also lots of ornaments that have the aerating feature. For the bubble walls and aerating ornaments, you will need a water pump to make them work. Water pumps are not expensive and will be a very worthwhile investment. Your perfect reward comes when you finally sit back, relax and watch one of the most beautiful tranquil displays you have ever created. Goldfish are smart and very entertaining. They will soon be coming to greet you when you walk into the room and even will take food out of your hand. They may also want to come to the surface for an occasional “scratch” on the head. If properly taken care of, your little pets will give you many years of joy and entertainment.